I’m not often one for glamming up in skimpy clothing and fake tan, but I’m certainly not against it. I don’t go out on the town very often, but I do love to get dressed up and try out new beauty products every once in a while. 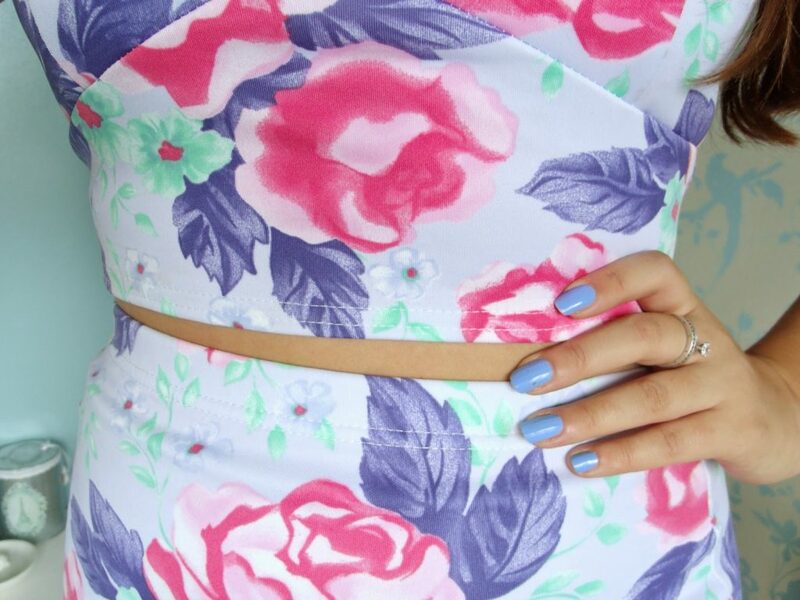 This outfit is perfect for a night out; I love the colours and the pattern of this floral coord from Karma Clothing. The set comes with a bralet top, which is quite short, but it also comes with a pencil skirt which I prefer to wear up high to cover my belly. Because the outfit is quite fitted, it holds me in in all the right places, and I only bare a little bit of my tummy flesh. 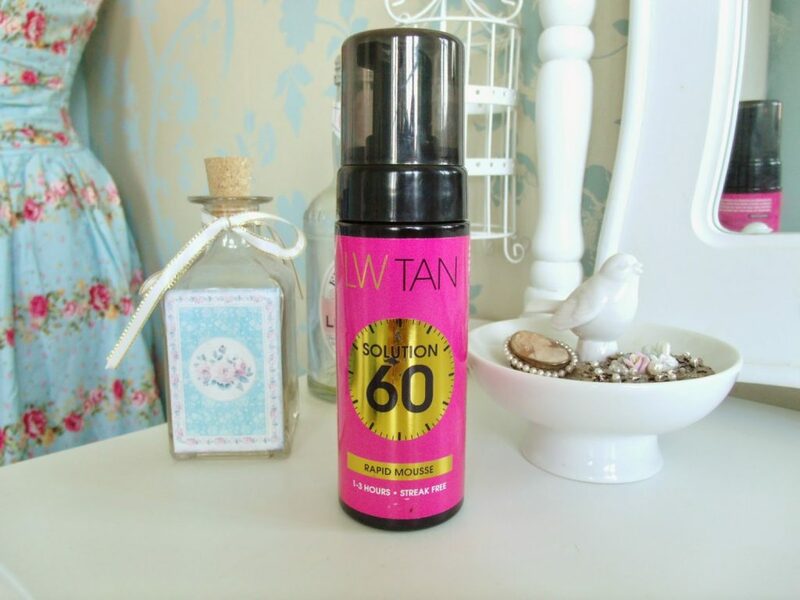 To boost my body confidence a little bit more, I recently tried out a new fake tan from Laurens Way, the Solution 60 mousse. 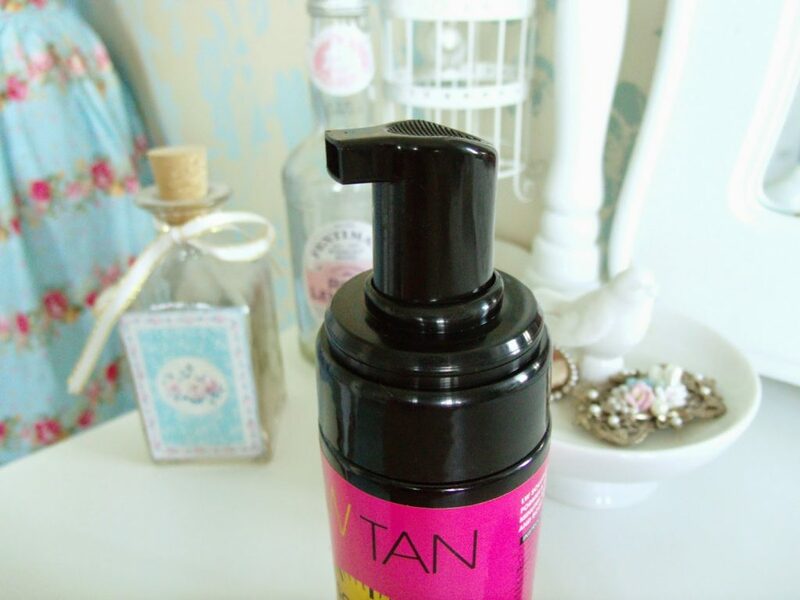 The self tanning product means that you can be bronzed in no time, as it develops a gorgeous golden glow in just 60 minutes. Perfect for any last minute nights out! It’s really simple and easy to apply; just apply with a tanning mitt and then leave the tan on for 60 minutes before showering for a light tan, or 2-3 hours for a medium/dark tan. I left my tan on for an hour to get a light golden glow, and I’m really impressed with the results. The soft foam applied evenly which means no streaky or patchy fake tan, and it’s not a garish orange colour, it’s actually quite a deep natural shade. I always find fake tan is a great way to boost my confidence on a night out, and no one does tan better than Essex girl Lauren Goodger! This outfit is just the cutest! Tan looks nice and with no tango effect!